This really came out of nowhere, but Singapore Airlines and Alaska Airlines have announced a new frequent flyer partnership that provides for codeshares plus reciprocal frequent flyer mile accruals and redemptions between Krisflyer and Mileageplan (Alaska’s frequent flyer program). A reader actually tipped me off on this about a week ago. He said he called up Alaska Airlines and an agent just let it slip, but of course we had no way of verifying it then so didn’t write anything. But it’s now official, and from 27th September you’ll be able to start reciprocal mileage earning, with reciprocal mileage redemption starting at a later date. Here’s what’s relevant to those of us in Singapore. This is one of the biggest pluses for me because it represents an opportunity for those of us based in Singapore to earn one of the most useful points currencies out there. Don’t feel bad about not crediting your SQ flights to Krisflyer. In Singapore, we can easily earn Krisflyer miles from credit cards, Kaligo, Mileslife, petrol stations, telcos, fashion, airport loyalty programs, even your PAssion card…the list goes on and on. In fact, I’d go as far as to say that 80% of my miles are earned from non-flying means. Remember that you can choose to credit your miles to Alaska Airlines but still earn PPS Value on Singapore Airlines for the purposes of renewing PPS membership. Once upon a time, Alaska’s Mileageplan was the best way to redeem Emirates First Class awards. For only 100,000 miles, you could fly one way First Class on Emirates from SIN-DXB-JFK where you’d get not one, but two showers in the sky on their A380. Alaska sells their miles as low as 2.11 US cents each, meaning you could buy this experience for US$2,110. Not cheap, but a heck of a lot better than paying revenue rates. But like all good things that went away with a massive unannounced devaluation (plus, the most ridiculous explanation ever). 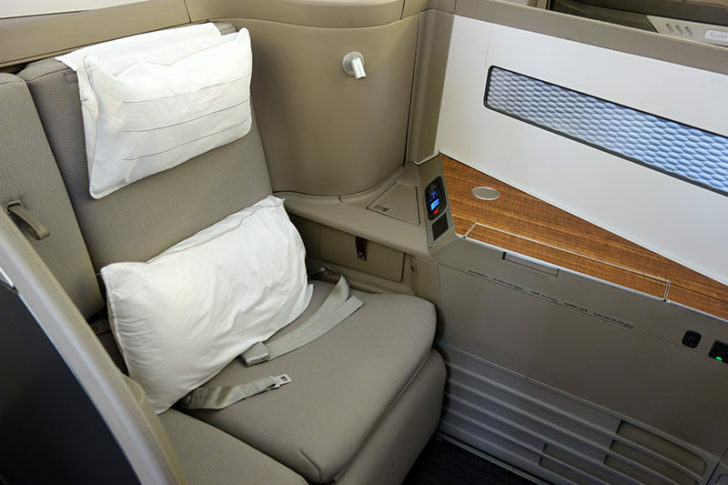 A First Class award ticket to the USA from Singapore now costs 180,000 miles. Similarly, Business Class awards went up from 75,000 to 105,000. 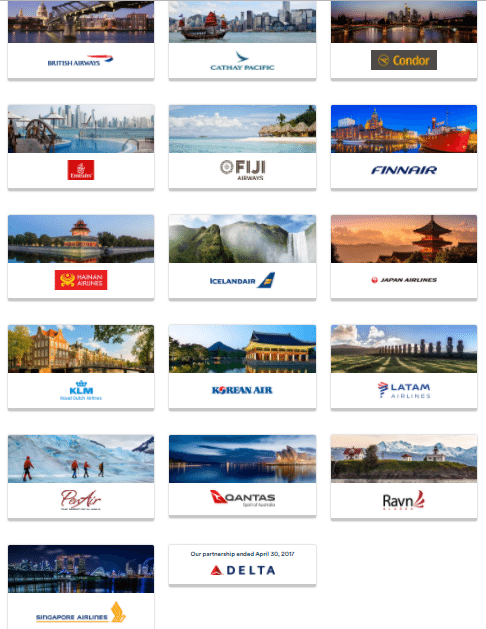 The good news is that Mileageplan still has some spectacular value partner awards on Cathay Pacific and Japan Airlines. If you’re worried that SQ adding another American partner means less award space for you in Singapore, don’t be. This is not like what happened back in 2014 when SQ added Chase Ultimate Rewards and Citibank in the USA to its transfer partner list. When that happened, yanks were able to transfer their steroid-enhanced credit card bonuses into Krisflyer miles and start competing with the rest of us for award space. We all know that SQ is notoriously tightfisted about releasing its award inventory to partners, and long haul J/F awards are only available to Krisflyer members with Krisflyer miles. Therefore, if a US-based flyer wants to redeem SQ long haul J/F awards, he or she will need to convert credit card points into Krisflyer miles then book. They won’t be able to access these awards through Alaska Mileageplan. At most, Alaska Mileageplan members will be able to access SQ’s economy space + regional business class routes served by the A330s/772s, however. So from that point of view there might be more competition, but it’s really on routes that we don’t care so much about. If you’re flying into SFO, for example, you can connect on an Alaska one-stop flight to Seattle, Kansas City, Minneapolis/St Paul, Albuquerque, even Mexico City. Alaska is historically mostly a west coast airline, but their acquisition of Virgin America will open up more routes on the east coast to them. I will be interested to see how SQ implements this, although my sense is that they will have a separate award chart for Alaska that features only domestic US routes. In other words, you won’t be able to save miles by redeeming a SIN-HKG-SFO-SEA ticket, you’ll have to redeem one with SQ for SIN-HKG-SFO and another with Alaska for SFO-SEA. 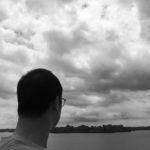 Although this partnership was unexpected, it’s certainly great news for those of us in Singapore. From a miles redemption and accrual point of view, we certainly have more to gain than flyers based in the US. I’d certainly start paying a lot more attention to Mileageplan sales, and try to supplement that balance whenever I fly on SQ. well it’s quite simple really. Just tell the agent that you’re crediting to alaska and you want to earn elite credit with SQ. so your FQTV field (they will know what it is) is alaska mileageplan number, FQTS is Krisflyer. now that i say it, i can’t remember if I confused the PPS qualification with KFEG. I know for sure that you can credit miles to other programs while earning PPS value, but i can’t remember the rule with elite miles. anyone? so if i fly UA and want to sit in E+ (thanks to my UA gold status) but want the miles to go into my SQ account, would the FQTV be SG and FQTS be UA? Will it make sense to create an Alaska Mileageplan FFP account to have my Krisflyer miles to be transferred over and then claim for a JAL/CX first/business class ticket using Mileageplan’s partner awards? when you say transfer over, i assume you’re talking about a partnership ala velocity and krisflyer? that won’t happen here, and if it does the rate will be abysmal. Do you think with this partnership, Mileageplan would start improving routes that originate from SIN? Currently the system seems to only allow for destinations (from SIN) such as JFK, SFO, LAX, HND but not for Europe destinations like LHR, OSL and also not for New Zealand and Australia. With the partnership, do you think that the mileage plan may start to allow redemption of SQ to HKG where then we could redeem CX from HKG to Europe destinations? Or from SIN to SYD or ACK? Thank you. 100% no. combining partner awards of non alliance members is a big no no for all frequent flyer programs. for example, Singapore airlines partners with Air India and Vistara, but you can’t redeem a combined SIN-BOM-DEL ticket for example, notwithstanding the fact that AI operates SIN-BOM and Vistara BOM-DEL. you could certainly buy them separately, but not as a combined redemption as there are different systems, different rules. plus, for what you proposed, SQ and CX would somehow need to link their reservation systems so that you could do 1 seamless ticket. and that’s just not happening. have investigated. this is indeed amazing. Can we use krisflyer miles for AM redemption? Think Cindy’s referring to Asia Miles? To earn KF status, one must credit miles to KF in order to achieve the 25k or 50k threshold for Silver and Gold respectively. PPS Value is a separate bucket for SQ and computed based on fare of ticket, not distance travelled. Also, those with KF Elite status need to remember that they don’t earn the 25% bonus if they credit miles to Alaska. 50% if you got it just grab it!! The miles are superb use… I use it to go to TYO often… then make my way from KUL back SG…. I’m planning to use Alaska miles to plan a vacation in Tokyo by purchasing a SIN-BKK tix with a stop over at Tokyo. Now I need to figure out the most cost efficient way to get back to Sin from Bangkok. 1 way tix doesn’t look feasible as they are quite expensive esp when compared to super saver fare on return tix. Was wondering can i purchase a super save return tix but forfeit the outbound leg and only utilise the return leg? Once you do a ‘no-show’, the entire return ticket is forfeited. So I don’t think you can just forfeit the outbound leg. The reverse might be possible though. For layovers, are we able to check-in luggage and collect at the Tokyo airport? Or do they go straight to KL? Similarly, for the 2nd leg of Tokyo-KL, do we go to the airport check-in counter and will we be able to check in luggage? Oh wait, its a multi-city thing. That explains. I tried to book SIN-TKY-BKK. The initial search showed available but towards the final purchase stage, I hit error message that the transaction is not able to be completed as the partner airlines cannot confirm the seats. Tried changing BKK to KUL and Osaka and all hit the same issue. Do you encounter this issue often? Or just a temp glitch? ok i just changed my dates and booked successfully, sin-hnd/nrt-kul. woot. Anyone knows whether miles earned from Silk Air flights can be credited to Alaska’s programme from next month onwards ?